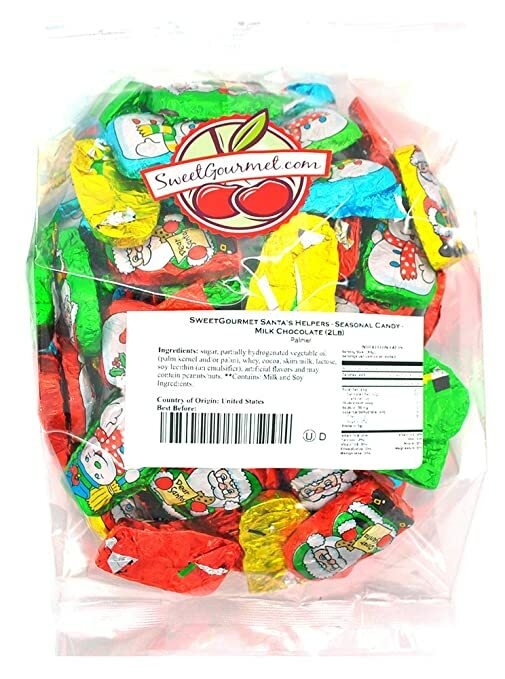 1 LB- Approx. 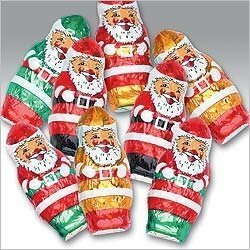 55 Mini Santas – Each Measures 2″ x 7/8″ x 3/8″ – Certified OU-D Kosher. 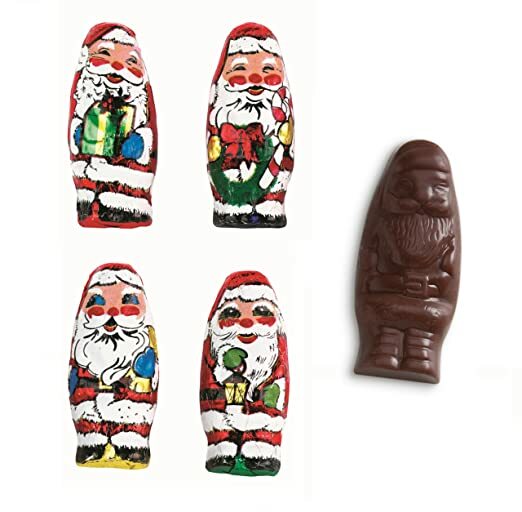 Over 85 years of making chocolates! 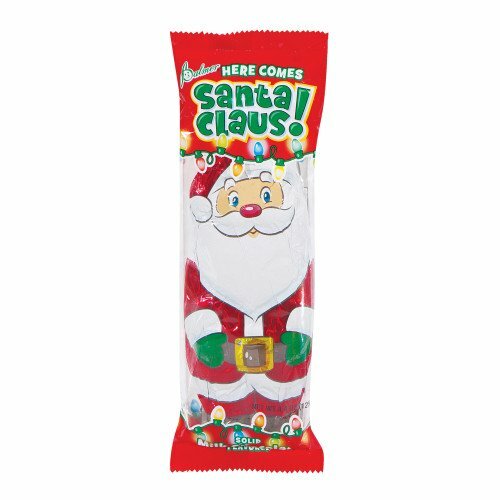 Made with Russell Stover fine chocolate blends of milk, dark or white. 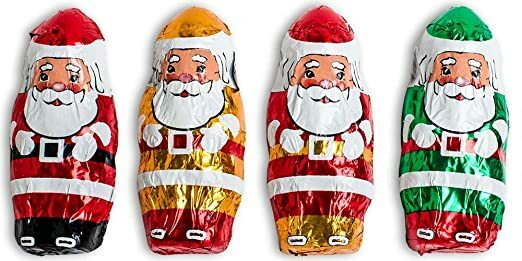 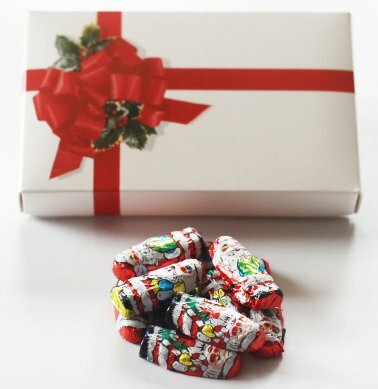 Solid milk chocolate Santas wrapped in foils. 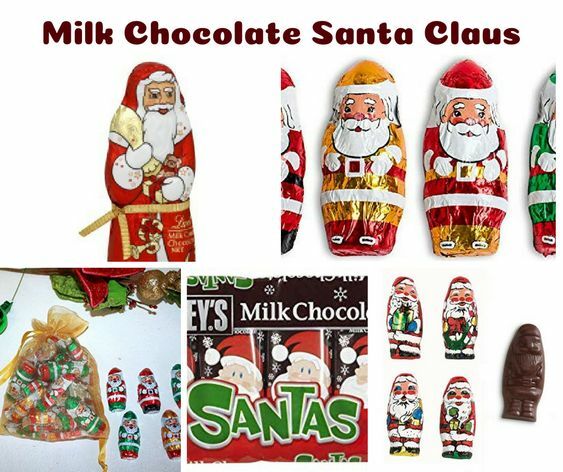 A Great Christmas treat for your Chocolate Lover! 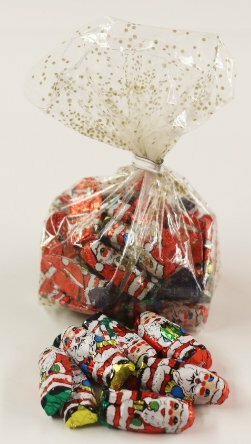 Choose from many different bag styles for any occasion. 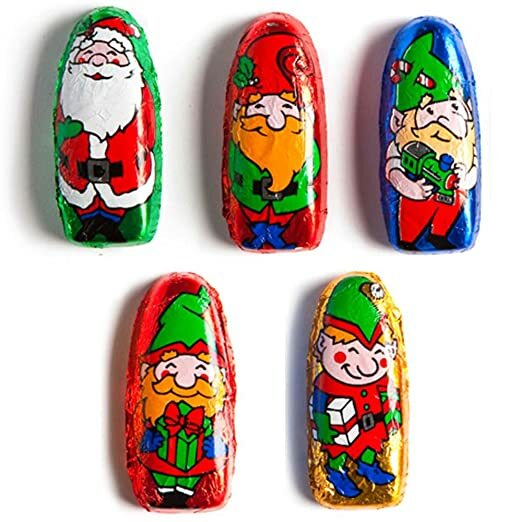 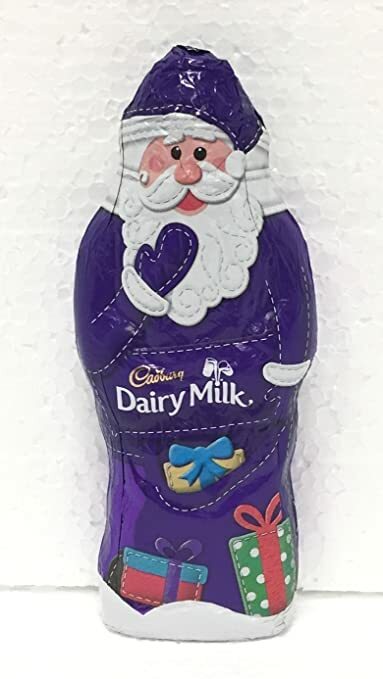 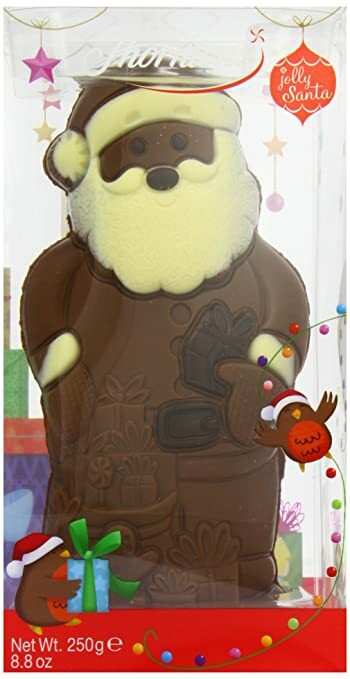 Smooth & Creamy, Solid Premium Milk Chocolate Pieces, Wrapped With 6 Different Italian Foil Designs (Santa, With 5 Helpful Elves). 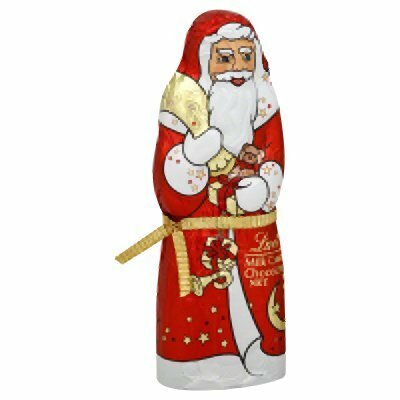 1 LB – Approx. 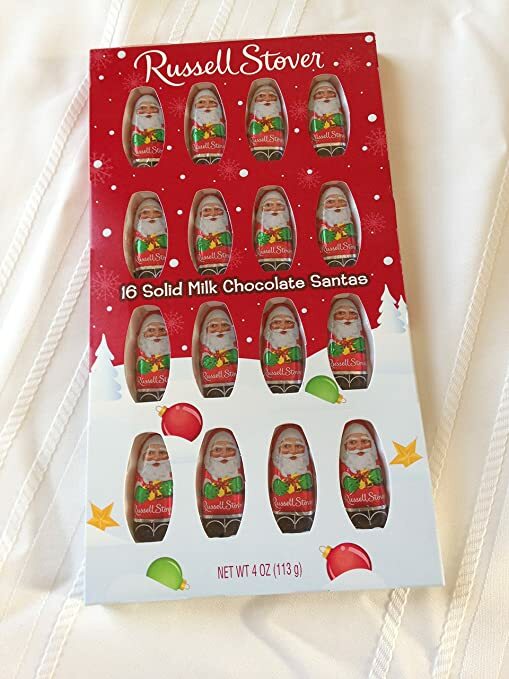 56 Pieces – Each Measures 2″ x 3/4″ x 1/4″ – Certified OU-D Kosher. 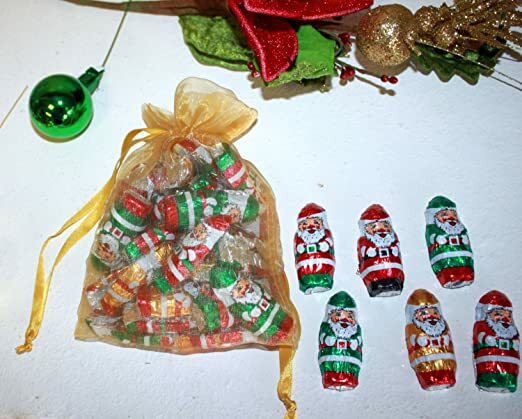 Great For Filling Giftware Or Party Favor Items, Balloon Weights, Candy Jars, Stocking Stuffers.